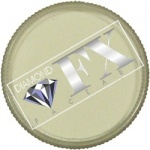 PartyXplosion face paint is very similar to TAG Body Art and Diamond FX face paint. Lovely and creamy to use with vibrant colours. 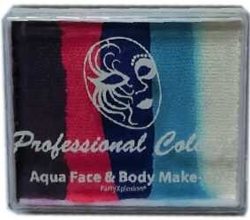 PartyXplosion face paint can be applied with a sponge or brush and will last all day without fading or cracking. Do not have your sponge too wet when applying this paint. These paints require very little water to activate them. Be careful not to add to much water as the paint will go gloopy. If this happens leave with the lid off in a warm place to dry out. Paints formulation with paraffin wax, petrolatum, glycerin, calcium carbonate, Stearyl alcohol, phenoxyethanol, ethythexylglycerin, disodium EDTA, aqua, sodium benszoate, acacia senegel, dextrin, pigments CI77891, CI15850, CI15850:1, CI15985:1, CI19140, CI177491, CI77019. 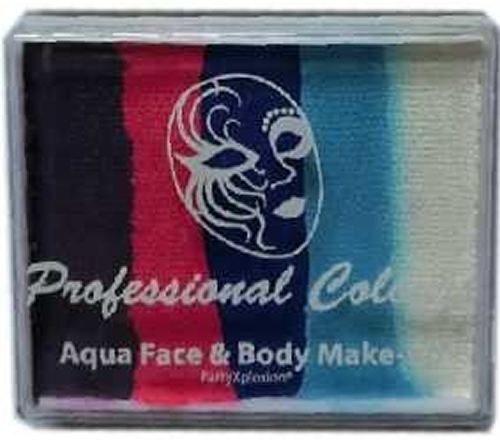 Click here for a material safety data sheet for PartyXplosion face paint.